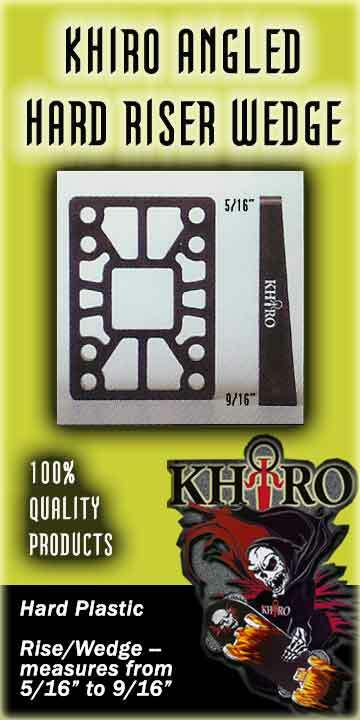 KHIRO ANGLED WEDGEHARD RISERS-- Made from the highest grade materials -- hard plastic compounded especially for KHIRO. Rise/Wedge -- measures from 5/16” to 9/16” offering increased turning response, stability and control of your ride. Old and New School hole patterns. Each wedge sold separately.